Social media tools (e.g., Twitter, Facebook, blogs) are valuable tools for teaching and learning in higher education. They can help increase student engagement, and provide opportunities for active learning. However, these tools need to be used carefully, and with particular attention to matters of data privacy, ethics and student consent regarding the use tools that are ‘off-site’ (i.e., not supported by the University). In an ideal world, all classroom activities would be done within the learning management system supported by the University (e.g., Desire2Learn). However, off-site social media tools are often more user-friendly, and are the same online tools that students (and potentially instructors) already use on a regular basis. There’s often an existing familiarity and comfort level with these social media tools, which can be beneficial if their use is required to meet the learning outcomes for a course. Universities have active social media profiles, but how does this relate to teaching with social media? A quick online search will reveal that many Universities have developed policies and guidelines about social media (here are McGill’s guidelines), ranging from broad guidance about social media at an institutional level, through to practical advice about online etiquette (here’s an example of etiquette guidelines from the University of New Hampshire). These resources, however, do not necessarily apply specifically to the use of social media in the classroom as a teaching and learning tool. It’s not easy to develop policies and guidelines about social media use, in part because it’s a moving target: the tools change rapidly, and standard policies may quickly become obsolete. By their very nature, social media tools are fluid, dynamic, and don’t fit easily into sets of rigid policies and legalese. These features (which make them so appealing, interactive and useful as teaching and learning tools) create challenges in terms of navigating the boundary between the professional and the personal. This boundary can get quite fuzzy when social media tools are used in a classroom setting (e.g., do you ‘friend’ students in your class when Facebook is used as an online tool?). Social media tools are open and public, which means individuals from outside the classroom and University may be interacting and collaborating with students inside the classroom. As such, it’s extremely important that instructors pay attention to the potential issues around student privacy and consent, and it’s essential that students also abide by the codes of conduct of their University. Navigating social media in the classroom can be tricky. Below are some guidelines for using social media in the classroom; these were developed after many discussions, and much reading and reflection. One caveat: it is important that instructors also consult their own University’s policies or guidelines and consult with the experts, as necessary. Consent: If social media tools are to be used in a classroom setting (whether or not it is part of the formal assessment), this must be explicitly stated in the course outline. The expectations need to be transparent: it should come as no surprise to students if they are asked to participate on Twitter or write blogs as part of the course. This is the means by which student consent is obtained for the use of social media in the classroom. Opt-out option: If the course is required for a student to complete their academic program, and the student has personal/ethical (or other) reasons for not wanting to use off-site social media sites or tools, instructors should be prepared to offer those students an alternative. Offering alternatives might not be feasible when the use of social media tools is unavoidable in the context of specific learning outcomes for a course, but again, this must be explicitly stated in the course outline. 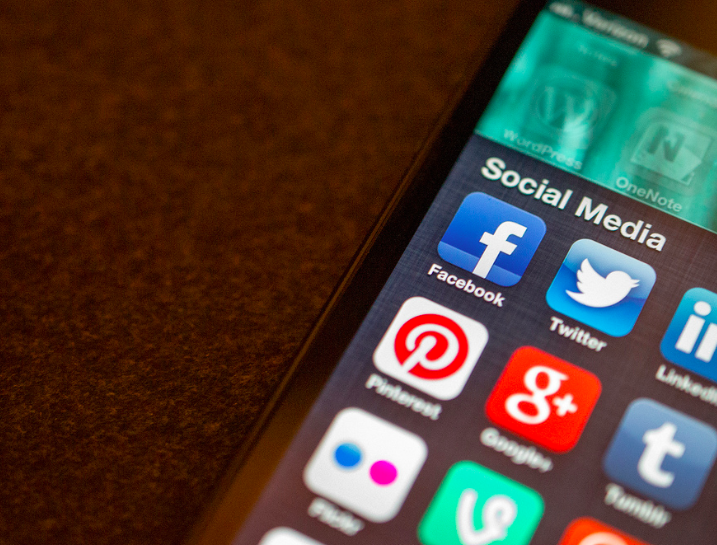 If the course isn’t required, and if the use of social media tools is explicit in the course outline, students may elect not to take the course. Etiquette: Before the social media tools are used, some training should be provided. The instructor needs to have a frank and candid discussion with students about proper etiquette when using social media in the classroom. Everyone needs to be reminded that whatever you write and post is potentially ‘out there’ forever! One of the simplest, and best, pieces of advice is: “keep it positive; keep it professional”. Privacy: Students should be encouraged to set up alias accounts for the course so their real names are not associated with the course, in the public domain. This helps to navigate the professional-personal boundary, and it’s is a key means by which student privacy is maintained. This is particularly important if the content is of a personal nature. The instructor will, of course, be able to associate students with the alias accounts, but this information must be kept confidential. Depending on the content, or the type of course, there may be situations where a student’s name is used publically as part of the course, but this needs to be done carefully and cautiously. In sum, using social media tools in the classroom presents a terrific opportunity for instructors and students, but neither party should use these tools without following some simple and sensible guidelines.